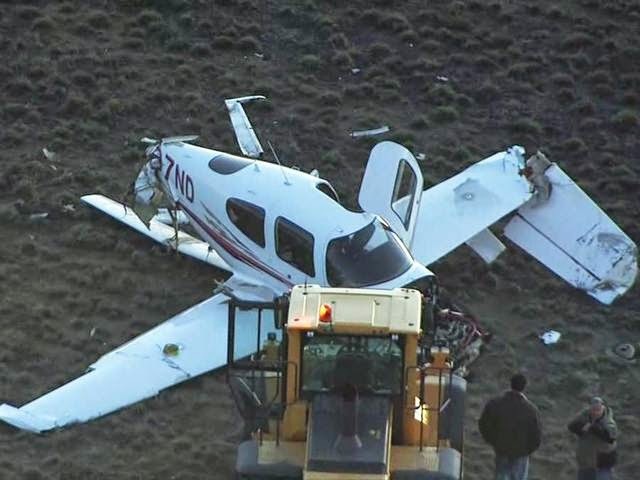 On December 5, 2014, about 1435 central standard time, a Cirrus SR20 airplane, N407ND, impacted terrain during approach at the Fort Collins-Loveland Municipal Airport (FNL), near Fort Collins, Colorado. 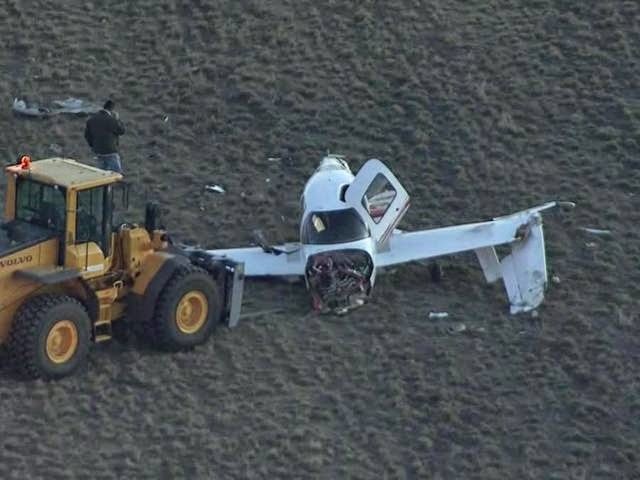 The solo student pilot was seriously injured and the aircraft was substantially damaged. The aircraft was registered to and operated by Cirrus LLC under the provisions of 14 Code of Federal Regulations Part 91 as an instructional flight. Day visual meteorological conditions prevailed for the local flight, which departed without a flight plan. The student pilot stated that he entered the traffic pattern at FNL for a full stop landing on Runway 33. He observed a Sikorsky UH-60 helicopter on downwind and delayed his turn to base until the helicopter was on final, abeam his position. While on final, the student pilot adjusted his aim point to land long, as he was concerned with wake turbulence and wanted to land beyond the helicopter's touchdown point. Just prior to landing, he encountered turbulent air and attempted to go around. The airplane subsequently impacted terrain and cartwheeled, which resulted in damage to the fuselage and wings. An airport surveillance camera at FNL captured the accident airplane approaching the runway about 30 seconds in trail of the UH-60 helicopter. At 1435 the weather observation station at FNL reported the following conditions: wind 110 degrees at 3 knots, visibility 10 miles, clear sky, temperature 14 degrees Celsius (C), dew point 4 degrees C, altimeter setting 30.22 inches of mercury. 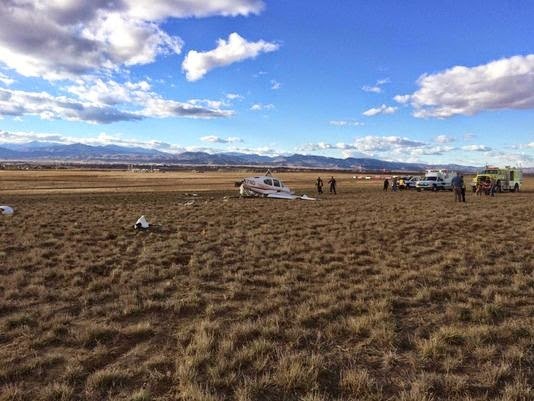 A pilot was injured Friday afternoon when the small plane he was flying smashed into the ground at the Fort Collins-Loveland Municipal Airport. 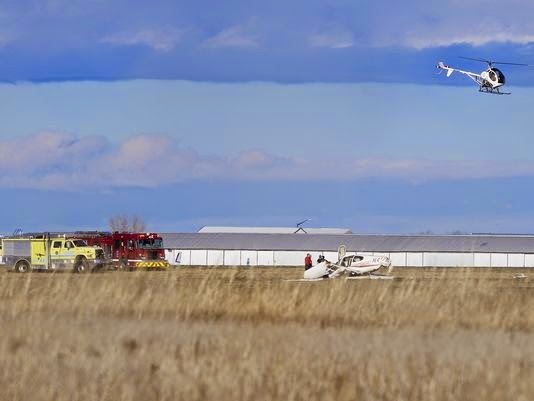 Emergency crews were called about 2:30 p.m. Friday on a report of a small aircraft that had crashed near the main runway of the airport, 4900 Earhart Road in Loveland, said Battalion Chief Michael Cerovski with Loveland Fire and Rescue Authority. Fire, police and medical crews rushed to the airstrip and located a plane that was splintered in pieces, the tail almost completely gone. There was no active fire when crews arrived, but there was smoke. There is a fire station across the street from the airport’s main hub. The male pilot was treated and transported to an area hospital with serious but non-life-threatening injuries, the City of Loveland said via Twitter. Cerovski said the man was awake and talking when he was taken away by ambulance. It was not immediately known whether the plane crashed on take-off or landing, nor was it known how long the investigation would take or how serious the pilot’s injuries were. His identity was not publicly released Friday. The Federal Aviation Administration was en route Friday to conduct a comprehensive investigation. Winds were light and temperatures were in the mid-50’s at the time of the crash. Fort Collins-Loveland Municipal Airport is owned by both cities and serves corporate and general aviation needs as well as unscheduled commercial flights. More than 200 aircraft are based at the facility, and helicopters buzzed throughout the landing areas Friday while investigators worked down the runway. WILEY FORD, W.Va. — The Potomac Highlands Airport Authority voted unanimously on Thursday to resubmit the autocross event description and safety plan to the Federal Aviation Administration for their formal evaluation as it relates to federal grant assurance funding. The authority also voted to work jointly with National Road Autosport to submit the proper form to the FAA. Authority Chairman Gregg Wolff recommended not moving forward with a specific autocross schedule for 2015 until receiving the green light from the FAA. “Regardless of the outcome, (National Road Autosport) is welcome to come forward with a mind open to new possibilities to work together with the PHAA to develop a long-range relocation plan for mutual benefit to the airport and the autocross as the construction phase of the AIP (Airport Improvement Plan) looms on the horizon,” said Wolff. The motion to submit the form to the FAA was made in order to determine a feasible, sustainable solution to the autocross issue, said Wolff. John Felten, president of National Road Autosport, thanked the authority for agreeing to submit the required forms to the FAA. The authority voted in June to deny access to the airport’s operational grounds for autocross racing in 2014 and said that the reasoning behind their decision was because it could affect FAA funding. The FAA is committed to ensuring safe and efficient aeronautical activity at the airport and the federal funding must meet certain guidelines. The authority was able to secure a grant assurance of $2.3 million and the process was streamlined because there wasn’t a 2014 autocross to consider, according to Wolff. SOUTH BURLINGTON, Vt. —Airline officials say upon further investigation, a plane's windshield was cracked as a result of a bird strike and not a maintenance issue as reported earlier Friday. On Thursday afternoon, United Airlines flight 4331 departed Burlington International Airport on its way to Washington Dulles International Airport. "We want to make sure that everybody is safe first and that goes all the way up to the FAA and back down to the ground here," said Nic Long, of the Burlington International Airport. "Really it's a coordination of everybody trying to get that plane on the ground first and then continuing normal operations afterwards." ExpressJet, which operated the flight, says that based on crew interviews and completion of maintenance inspection it was in fact a bird strike that caused the damage. At the time of the incident, the plane was carrying 52 people. The plane was able to land safely at BTV. The surge in reports of near-misses between drones and aircraft suggests it may only be a matter of time before one of the remote-controlled devices causes a tragedy in the nation’s skies. That would be unfortunate on a number of levels. Not only could it be a human disaster, but it could also damage a budding industry that shows important potential for uses in public safety, news gathering and remote delivery. Under pressure by news organizations to release records, the Federal Aviation Administration says commercial airlines, private pilots and air-traffic controllers have reported more than 25 midair incidents in the past six months in which drones came disturbingly close to aircraft. In some cases, the drones were mere seconds or feet from impact with the aircraft. Although most of the drones were the smaller camera-equipped models used by hobbyists and photographers, they could potentially bring down a plane by striking a propeller, penetrating a windshield or being sucked into an engine. Helicopters – such as those used by medical emergency and rescue teams – would be especially vulnerable to crashing if a drone struck a rotor. Lawmakers and drone manufacturers want the FAA to develop regulations so that commercial use of the devices can expand. But that could be endangered by hobbyists’ negligence that has led to the near-misses. Even if rules are drawn up, the FAA doesn’t have the staff to enforce them, police airports and track down offenders. Hobbyists are required to keep their drones under 400 feet and five miles away from airports. But some of the reports involved drones flying at thousands of feet, including one in which a Republic Airlines Flight almost hit a drone flying at 4,000 feet Sept. 30 near New York’s LaGuardia Airport. Drones also aren’t supposed to be operated within five miles of an airport, yet many of the reports were of incidents near major airports in New York and Washington, D.C. Let a drone hit a plane carrying some members of Congress and see what happens to the drone industry. Even more disturbing than an accidental collision would be a deliberate one, which could have serious implications for the airline industry. The challenge seems to be to get greater control over the private use of drones, especially since prices have dropped to the point that they’re more widely affordable. Perhaps requiring that they be outfitted with identification/tracking devices would help deter misbehavior. NAPLES, Fla. - The Naples Airport Authority has purchased a more than $1 million hangar from Health Management Associates, adding space for up to seven more planes. It’s the second sale of HMA property this year, since Tennessee-based Community Health Systems purchased Naples’ only Fortune 500 company in January, leaving its local office space and hangar vacant. County deeds show the Naples Airport Authority paid HMA $1.012 million in October for the 9,600-square-foot hangar, which is attached to the office building the airport built in 1995. The roughly 760-square-foot HMA office, in the airport office building, was accessible through its hangar and the authority will be leasing that space to another tenant. The airport has another large hangar, about twice the size, that it’s owned and leased out since the early 1980s. When the airport building was built, Soliday said, enough offices were built to lease to tenants, including HMA, European American Flight and the Pilot Shop. HMA then built a hangar for three aircraft the company used to fly corporate executives to its hospitals nationwide. HMA operated dozens of hospitals nationwide, including two Physicians Regional hospitals in Collier County, with 1,400 employees, and a hospital in Lehigh Acres in Lee County — all now operated by Community Health. On Sept. 30, deeds show, HMA sold its high-profile office center, a three-building, 190,000-square foot office complex off U.S. 41 near the Waterside Shops. Chicago-based real estate investor Steelbridge Capital LLC paid $33.65 million for the complex. The air-carrier airport is home to flight schools, charter operators, car rental agencies, corporate and nonaviation businesses and community services, including fire and rescue, mosquito control and the County Sheriff’s Aviation Unit. There were 95,120 takeoffs and landings last fiscal year. The hangar is among 300 there, most of them smaller buildings used by individual pilots. The numerous hangars enabled the Naples Airport Authority to submit a request for proposals to Hertz, which is building its headquarters in Estero. “The advantage we had is our hangar was already available,” Soliday said, adding that Hertz has leased that space for about two years. The additional hangar space also will help during hurricane season, when pilots need to secure aircraft, Soliday said, adding that they can fit many planes inside due to varying sizes and wing heights. Injuries: 1 Fatal, 3 Serious. NTSB investigators either traveled in support of this investigation or conducted a significant amount of investigative work without any travel, and used data obtained from various sources to prepare this aircraft accident report. The commercial pilot was on a cross-country flight when the airplane encountered deteriorating weather conditions. A surviving passenger reported that the pilot decided to divert to a nearby airport. 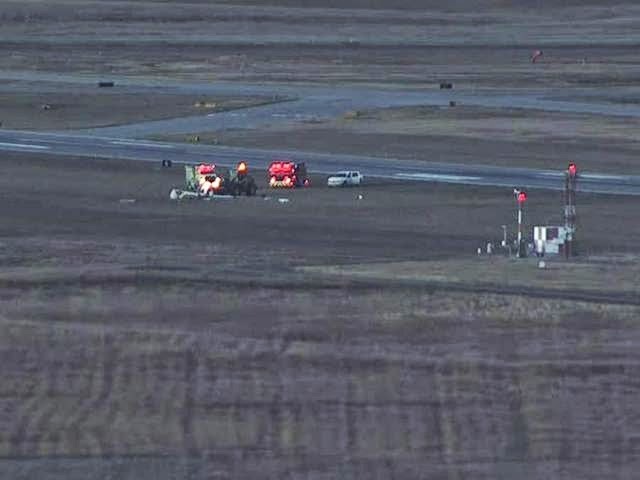 The airplane experienced a loss of engine power in the airport traffic pattern shortly after the pilot extended the landing gear during the base-to-final turn. The pilot was able to restore engine power briefly by advancing the throttle, but the engine quickly experienced a total loss of power. The passenger stated that the airplane entered an aerodynamic stall about 250 ft above the ground. The airplane subsequently impacted terrain in a near-level attitude. The pilot likely failed to maintain adequate airspeed following the loss of engine power, which resulted in the airplane exceeding its critical angle of attack and a subsequent aerodynamic stall at a low altitude. A postaccident examination did not reveal any mechanical malfunctions that would have precluded normal engine operation; however, the right main fuel tank was void of any usable fuel, and the left main fuel tank contained about 1.5 gallons of usable fuel. Additionally, no fuel was recovered from the supply line connected to the fuel manifold valve, and only trace amounts of fuel were recovered from the engine-driven fuel pump outflow line. A first responder reported that the main fuel selector was positioned to draw fuel from the auxiliary fuel tanks. Although placarded for use during level flight only, both auxiliary fuel tanks contained sufficient fuel to maintain coverage over their respective outlet ports during maneuvering flight, and would have provided fuel to the engine. As such, it is likely that the main fuel selector was positioned to draw fuel from the right main fuel tank when the airplane initially experienced a loss of engine power due to fuel starvation. The pilot then likely switched to the right auxiliary fuel tank while attempting to restore engine power; however, there was likely insufficient time and altitude to re-establish fuel flow to the engine. Although the airplane had experienced an alternator malfunction during the previous flight, a possible charging system failure would not have affected engine operation during the accident flight. The pilot's failure to maintain adequate airspeed during a forced landing following a total loss of engine power due to fuel starvation, which resulted in the airplane exceeding its critical angle of attack, and an aerodynamic stall at a low altitude. Contributing to the accident was the pilot’s improper fuel management. 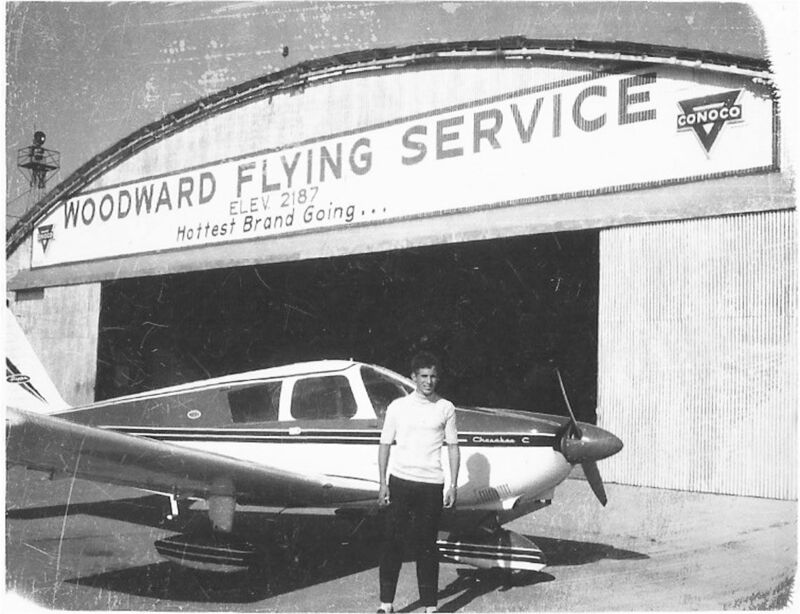 Charles K. Sojka is seen here in front of a Piper Cherokee in an old photo of the Woodward Airport. He was a Woodward native and a 1969 graduate of Woodward High School. He was a life-long pilot, flight instructor and Director of Maintenance for the Aviation Department at Kansas State University, Salina. Sojka was killed on November 30th, 2014 in a Bellanca 17-30A Super Viking plane crash in Boonville, Missouri. The National Transportation Safety Board traveled to the scene of this accident. 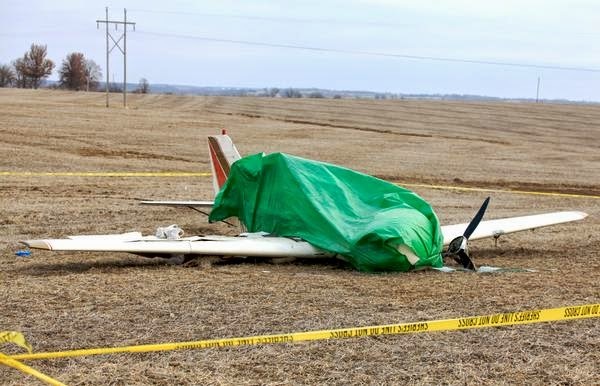 On November 30, 2014, about 0857 central standard time (CST), a Bellanca model 17-30A single-engine airplane, N6629V, was substantially damaged when it collided with terrain during landing approach to runway 36 at Jesse Viertel Memorial Airport (VER), Boonville, Missouri. The commercial pilot was fatally injured and his three passengers were seriously injured. The airplane was registered to and operated by the pilot under the provisions of 14 Code of Federal Regulations Part 91 without a flight plan. Day marginal visual meteorological conditions prevailed for the cross-country flight that departed Spirit of St. Louis Airport (SUS), Chesterfield, Missouri, about 0740, and was originally destined for Charles B. Wheeler Downtown Airport (MKC), Kansas City, Missouri. The day preceding the accident, the pilot had flown from MKC to SUS. After landing, about 1207, the pilot told a fixed-base operator (FBO) line technician that he had a depleted battery because of an unspecified charging system malfunction. The pilot, who also was an aviation mechanic, removed the battery from the airplane to have it charged. About 1800, the pilot returned to the FBO with the recharged battery. After reinstalling the battery, the pilot started and ran the engine for about 5 to 7 minutes. Following the engine run, the pilot removed the cowling and began adjusting a subcomponent of the alternator control unit (ACU). After adjusting the ACU, the pilot performed another engine test run that lasted about 10 minutes. Following the second engine test run, the pilot told the FBO line technician that the airplane's ammeter was still showing a slight discharge while the engine was running, and that he was uncomfortable departing at night with a charging system issue. The pilot asked if he and his passengers could stay the night in the pilot's lounge so they could depart early the following morning. The pilot also asked for the airplane to be towed to the self-serve fuel pumps because he did not want to deplete the battery further with another engine start. The pilot prepaid for 20 gallons of fuel at the self-serve fuel pump. According to the line technician, the pilot nearly topped-off the right inboard fuel tank with 13 gallons before switching over to the left inboard tank. Upon a visual inspection of the left inboard tank, the pilot told the line technician that it contained less fuel than he had expected. The pilot proceeded to add the remaining 7 gallons of the prepaid 20 gallons to the left inboard fuel tank. The line technician noted that after fueling the left inboard fuel tank, the fluid level was about 2 inches from the top of the tank. The pilot did not purchase any additional fuel and told the line technician that both outboard "auxiliary" fuel tanks were nearly full. The line technician then towed the airplane back to the ramp for the evening. The line technician reported that the airplane departed FBO ramp the following morning. According to air traffic control (ATC) data, the first radar return for the accident flight was shortly after the airplane departed from runway 26L at 0740:50 (hhmm:ss). The airplane initially transmitted a visual flight rules (VFR) beacon code (1200) during accident flight. The plotted radar track revealed the airplane flew west-northwest from SUS toward the planned destination. At 0751:03, the airplane stopped transmitting a 1200 beacon code and continued as a primary-only radar target. The location of the final 1200 code was about 21.5 miles west-northwest of SUS at 2,400 ft mean sea level (msl). The lack of a reinforced beacon return was consistent with the pilot turning the airplane transponder off. The primary-only radar track continued west-northwest at an unknown altitude. (The airplane's transponder transmits altitude data to the radar facility; a primary-only radar return does not include altitude data) At 0832:04, the airplane was still traveling west-northwest and was about 5 miles south of Jesse Viertel Memorial Airport (VER). At 0836:21, the airplane descended below available radar coverage about 11 miles west-southwest of VER. There was no radar coverage with the airplane for about 19 minutes. At 0855:30, the radar facility began tracking a VFR reinforced beacon return (1200) about 2.3 miles north of VER descending through 1,500 feet msl. The time and location of the radar returns are consistent with the accident flight maneuvering to land at VER. The airplane entered a left downwind for runway 36 at 1,200 feet msl. At 0856:49, the last recorded radar return was about 0.9 mile southwest of the runway 36 threshold at 1,100 feet msl (about 400 feet above the ground). According to one of the surviving passengers, while enroute at an altitude of 2,000 to 3,000 ft msl, the airplane encountered a line of "dense clouds" near Sedalia, Missouri. The pilot attempted to navigate beneath the clouds, at an altitude of about 1,500 ft msl, before deciding to make a course reversal and divert to a nearby airport. The pilot told the passenger, who was seated in the forward-right seat, to be on the lookout for towers and obstructions because of their low proximity to the ground. The passenger reported that after flying east for a few minutes the pilot identified VER on his Apple iPad Mini. The flight approached the airport traffic pattern from the west and made a left base-to-final turn toward runway 36. The passenger reported that the landing gear extended normally. However, when the pilot reduced engine power, in attempt to reduce airspeed, the engine experienced a loss of power. The pilot was able to restore engine power briefly by advancing the throttle, but the engine quickly lost total power. The passenger reported that the pilot then began making rapid changes to the engine throttle and mixture control without any noticeable effect to engine operation. The passenger stated that as the pilot prepared for a forced landing the airplane encountered an aerodynamic stall about 250 ft above the ground. The passenger did not recall the airplane impacting the ground. 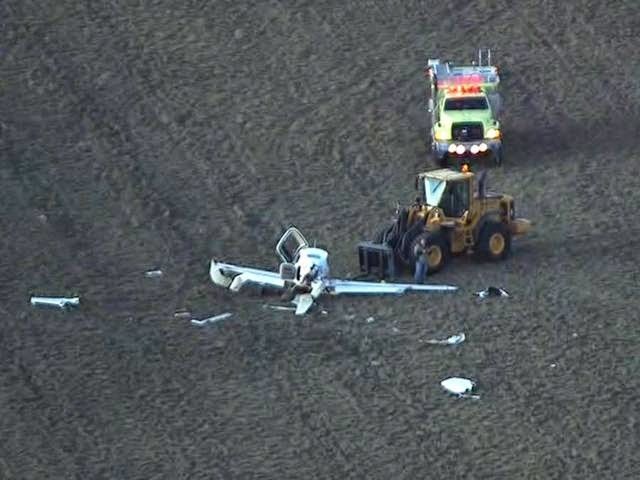 According to Federal Aviation Administration (FAA) records, the 63-year-old pilot held a commercial pilot certificate with single engine land, single engine sea, multiengine land, and instrument airplane ratings. He also held a flight instructor certificate with single engine, multiengine, and instrument airplane ratings. The pilot's last aviation medical examination was on April 11, 2014, when he was issued a third-class medical certificate with a limitation for corrective lenses. A search of FAA records showed no previous accidents, incidents, or enforcement proceedings. The pilot completed a flight review, as required by FAA regulation 61.56, on November 12, 2014, in a single-engine Cessna model 180 airplane. The pilot's flight history was reconstructed using his pilot logbook and a computer spreadsheet. The last flight entry in the pilot logbook was dated January 8, 2012. The computer spreadsheet was last updated on November 16, 2014, at which time he had accumulated 3,036 hours total flight time, of which 2,955 hours were listed as pilot-in-command. He had accumulated 2,428 hours in single engine airplanes and 608 hours in multi-engine airplanes. Additionally, he had logged 43 hours in actual instrument meteorological conditions, 175 hours in simulated instrument meteorological conditions, and 233 hours at night. According to available logbook documentation, the pilot had flown 19 hours during the previous 6 months, 10 hours during prior 90 days, and 3 hours in the month before the accident flight. According to a flight-monitoring website, FlightAware.com, the pilot had flown 1.3 hours during the 24-hour period preceding the accident flight. The accident airplane was a 1970 Bellanca model 17-30A, Super Viking, serial number 30312. The Super Viking is a single-engine, low wing monoplane with an all-wood wing construction and a fabric covered steel-tube fuselage. A 300-horsepower Continental Motors model IO-520-K reciprocating engine, serial number 209048-70K, powered the airplane through a constant speed, three blade, Hartzell model HC-C3YF-1RF propeller. The airplane had a retractable tricycle landing gear, was capable of seating the pilot and three passengers, and had a maximum gross weight of 3,325 pounds. The FAA issued the accident airplane a standard airworthiness certificate on October 23, 1970. The pilot purchased the airplane on July 5, 2014. The airplane's recording tachometer meter indicated 621.4 hours at the accident site. The airframe and engine had accumulated a total service time of 2,858.7 hours. The engine had accumulated 1,429.7 hours since the last major overhaul completed on December 10, 1976. The engine had accumulated 206.1 hours since a top overhaul that was completed on December 8, 2007. The last annual inspection of the airplane was completed on November 1, 2014, at 2,853.5 total airframe hours. The airplane had accumulated 5.2 hours since the last annual inspection. A postaccident review of the maintenance records found no history of unresolved airworthiness issues. The National Weather Service (NWS) Surface Analysis Chart for 0900 CST depicted a strong cold front immediately east of the accident site. The front stretched across Missouri between the departure airport and the planned destination. The cold front was associated with a defined wind shift and low stratiform clouds behind the front. There were several weather stations located near the accident site that had surface visibility restrictions in fog and mist. Weather radar imagery did not depict any significant weather echoes in the area of the accident site; however, the weather radar did detect a fine line of very light intensity echoes associated with the cold front. Satellite imagery depicted a band of low stratiform clouds extending over the accident site westward through the Kansas City area. The cloud band was located along and behind the cold front. The NWS 12-hour Surface Prognostic Chart depicted a cold front along the planned route of flight, a strong pressure gradient behind the front supporting strong north-northwest winds, and an extensive portion of Missouri that had marginal visual flight rules (MVFR) weather conditions. At 0855 CST, an automated surface weather observation station located at Jesse Viertel Memorial Airport (VER), Boonville, Missouri, reported: wind 310 degrees at 13 knots, gusting 16 knots; broken cloud ceilings at 2,600 ft above ground level (agl) and 3,400 ft agl, overcast ceiling at 4,100 ft agl; 10 mile surface visibility; temperature 11 degrees Celsius; dew point 7 degrees Celsius; and an altimeter setting of 29.82 inches of mercury. At 0853 CST, the weather conditions at Sedalia Memorial Airport (DMO), located near where a passenger reported the accident flight had encountered a line of "dense clouds", included a broken ceiling at 1,700 ft agl, another broken ceiling at 2,400 ft agl, and an overcast ceiling at 3,000 feet agl. At 0854 CST, a surface observation made at the planned destination (MKC), included instrument flight rules (IFR) weather conditions, including an 800 ft agl cloud ceiling and 4 miles surface visibility with mist. A review of weather briefing requests made to Automated Flight Service Stations (AFSS) and Direct User Access Terminal Service (DUATS) vendors established that the pilot did not receive a formal weather briefing before departure. The Jesse Viertel Memorial Airport (VER), located about 3 miles southeast of Boonville, Missouri, was served by a single runway: 18/36 (4,000 ft by 75 ft, asphalt). The airport elevation was 715 ft msl. 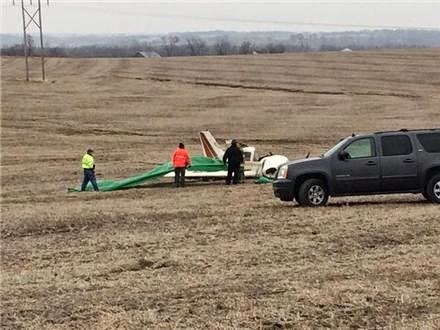 A postaccident examination revealed that the airplane impacted a harvested soybean field on a 305-degree magnetic heading. The initial point-of-impact consisted of three parallel depressions in the field that were consistent with the spacing of the airplane's three landing gear. The main wreckage was located about 24 ft from the initial point-of-impact in an upright position. The accident site was located along the extended runway centerline about 0.4 miles south of the runway 36 threshold. Flight control continuity was confirmed from the cockpit controls to the individual flight control surfaces. The wing flaps were about 1/2 of their full deflection. The landing gear selector switch was in the DOWN position; however, all three landing gear assemblies had collapsed during the impact sequence. The main fuel selector was in the OFF position; however, a first responder had moved the fuel selector from the AUX position to OFF during rescue efforts. Additionally, the first responder turned the engine magneto/ignition key to OFF and disconnected the battery terminals after hearing the sound of an electric motor located under the floorboards. (The sound of an electric motor was later identified to be the electrohydraulic motor for the landing gear extension/retraction system.) The auxiliary fuel tank selector was in the RIGHT position. The electrical master switch was in the ON position. The digital transponder was in the ON/Altitude Encoding position. The electric fuel pump switch was in the OFF position. There were no anomalies identified during functional tests of the electric fuel pump and the aerodynamic stall warning system. The postaccident airframe examination revealed no evidence of a mechanical malfunction or failure that would have precluded normal operation. The airplane was equipped with two inboard main fuel tanks and two outboard auxiliary fuel tanks. The reported capacity of each main fuel tank was 19 gallons, of which 15.5 gallons were usable per tank. The reported capacity of each outboard auxiliary fuel tank was 17 gallons; however, according to a cockpit placard, the auxiliary tanks were for use during level flight only. A visual examination of the four fuel tanks revealed no damage or evidence of a fuel leak. The left main tank contained about 5 gallons of fuel. The right main tank contained 3-1/2 pints of fuel. The left auxiliary tank was near its 17-gallon capacity. The right auxiliary tank contained about 11 gallons of fuel. There was no fuel recovered from the supply line connected to the inlet port of the engine-driven fuel pump; however, the gascolator drain had fractured during impact and there was evidence of a small fuel spill underneath the gascolator assembly at the accident site. There was a trace amount of fuel recovered from the engine-driven fuel pump outflow line. There was no fuel recovered from the fuel supply line connected to the fuel manifold valve. The engine remained partially attached to the firewall by its engine mounts and control cables. Mechanical continuity was confirmed from the engine components to their respective cockpit engine controls. Internal engine and valve train continuity was confirmed as the engine crankshaft was rotated. Compression and suction were noted on all cylinders in conjunction with crankshaft rotation. The upper spark plugs were removed and exhibited features consistent with normal engine operation. Both magnetos provided spark on all leads when rotated. There were no obstructions between the air filter housing and the fuel control unit. The three blade propeller and crankshaft flange had separated from the engine. The propeller blades exhibited minor burnishing of the blade face and back. One blade appeared straight. Another blade exhibited a shallow S-shape bend along its span. The remaining blade was bent aft about midspan. The postaccident examination revealed no evidence of a mechanical malfunction or failure that would have precluded normal engine operation. On December 1, 2014, at the request of the Cooper County Coroner, the Boone/Callaway County Medical Examiner's Office located in Columbia, Missouri, performed an autopsy on the pilot. The cause of death was attributed to multiple blunt-force injuries sustained during the accident. The FAA's Civil Aerospace Medical Institute located in Oklahoma City, Oklahoma, performed toxicology tests on samples obtained during the autopsy. The toxicological test results were negative for carbon monoxide, ethanol, and all drugs and medications. Four personal electronic devices were recovered at the accident site and sent to the National Transportation Safety Board (NTSB) Vehicle Recorders Laboratory in Washington D.C. for potential non-volatile memory (NVM) data recovery. An examination of the pilot's Apple iPad Mini revealed it had the ForeFlight application installed. The application's map page displayed route information for a flight from SUS to MKC. The specifics of the flight included a calculated distance of 186 nautical miles between SUS and MKC, a calculated course of 281 degrees magnetic, an estimated time enroute of 1 hour 10 minutes (calculated using 160 knots true airspeed without the effect of winds aloft), and an calculated fuel consumption of 17.4 gallons. There was no track history for the accident flight; the option to record a track history was not selected for the accident flight. The most recent track history was for a flight completed on August 24, 2014. Further examination of the device established that the text messages, photos, and internet browser history did not contain any information pertinent information to the investigation. According to a passenger, the pilot had used the iPad Mini to navigate during the accident flight. An examination of a passenger's Samsung Galaxy S III smartphone revealed that there were four photos taken during the accident flight between 0826:47 and 0831:51. During the five-minute period of recovered photos, the observed cloud cover near the airplane increased from clear skies to low-level, overcast stratocumulus clouds. Further examination of the device established that the text messages did not contain any information pertinent information to the investigation. The remaining two devices, a Motorola Droid Smartphone and an Apple iPod Touch, did not contain any data pertinent to the accident investigation. According to available air traffic control data, the accident flight was at least 1 hour 17 minutes in duration. According to the airplane's owner manual, the expected fuel consumption rate at 2,500 ft msl and 77-percent power was 16.1 gallons per hour. At 77-percent engine power, the accident airplane would have used at least 20.7 gallons of fuel; however, engine operation above 77-percent power and/or insufficient leaning would have consumed additional fuel. This is preliminary information, subject to change, and may contain errors. Any errors in this report will be corrected when the final report has been completed. NTSB investigators either traveled in support of this investigation or conducted a significant amount of investigative work without any travel, and used data obtained from various sources to prepare this aircraft accident report. 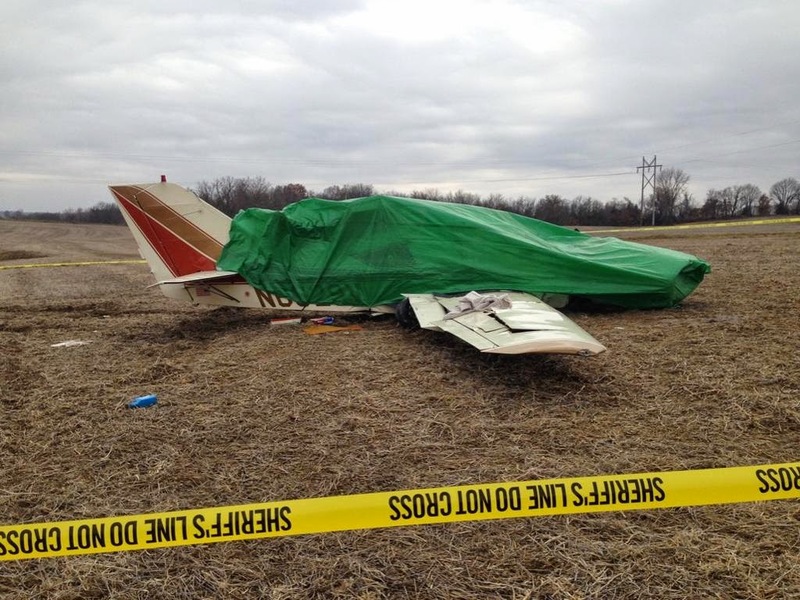 On November 30, 2014, about 0900 central standard time, a Bellanca model 17-30A airplane, N6629V, was substantially damaged when it collided with terrain during landing approach to runway 36 at Jesse Viertel Memorial Airport (VER), Boonville, Missouri. The commercial pilot was fatally injured and his 3 passengers were seriously injured. The airplane was registered to and operated by the pilot under the provisions of 14 Code of Federal Regulations Part 91 without a flight plan. Day visual meteorological conditions prevailed for the cross-country flight that departed Spirit of St. Louis Airport (SUS), Chesterfield, Missouri, about 0738, and was originally destined for Charles B. Wheeler Downtown Airport (MKC), Kansas City, Missouri. The day before the accident, the pilot had flown from MKC to SUS. After landing, about 1207, the pilot told a fixed-base operator (FBO) line technician that he had a depleted battery because of an unspecified charging system malfunction. The pilot, who also was an aviation mechanic, removed the battery from the airplane to have it charged. About 1800, the pilot returned to the FBO with the recharged battery. After reinstalling the battery, the pilot started and ran the engine for about 5 to 7 minutes. Following the engine run, the pilot removed the cowling and began adjusting a subcomponent of the alternator control unit (ACU). After adjusting the ACU, the pilot performed another engine test run that lasted about 10 minutes. Following the second engine test run, the pilot told the FBO line technician that the airplane's ammeter was still showing a slight discharge while the engine was running, and that he was uncomfortable departing at night with a charging system issue. The pilot asked if he and his passengers could stay the night in the pilot's lounge so they could depart early the following morning. The pilot also asked for the airplane to be towed to the self-serve fuel pumps because he didn't want to further deplete the battery with another engine start. According to one of the surviving passengers, while enroute at an altitude of 2,000 to 3,000 feet mean sea level, the flight encountered a line of "dense clouds" near Sedalia, Missouri. The pilot attempted to navigate beneath the clouds, at an altitude of about 1,500 feet msl, before deciding to make a course reversal and locate a nearby airport to divert to. The pilot told the passenger, who was seated in the forward-right seat, to be on the lookout for towers and obstructions because of their low proximity to the ground. 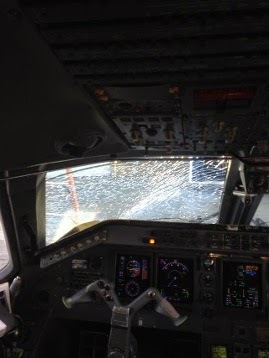 The passenger reported that after flying east for a few minutes the pilot identified VER on his tablet computer. The flight approached the airport traffic pattern from the west and made a left base-to-final turn toward runway 36. The passenger reported that the pilot extended the landing gear without any difficulties. However, when the pilot reduced engine power, in attempt to reduce airspeed, the engine experienced a loss of power. The pilot was able to briefly restore engine power by advancing the throttle, but the engine quickly lost total power. The passenger reported that the pilot then began making rapid changes to the engine throttle and mixture control without any noticeable effect to engine operation. The passenger stated that the airplane eventually "stalled completely", about 250 feet above the ground, as the pilot prepared for a forced landing; however, the passenger did not recall the airplane impacting terrain. A postaccident examination revealed that the airplane impacted a harvested soybean field on a 305 degree magnetic heading. The initial point of impact consisted of three parallel depressions in the field that were consistent with the spacing of the accident airplane landing gear. The main wreckage was located about 24 feet from the initial point of impact in an upright position. The accident site was situated along the extended runway 36 centerline, about 0.4 miles south of the runway approach threshold. Flight control continuity was confirmed from the cockpit controls to the individual flight control surfaces. The electric master switch was found in the "on" position. The wing flaps were observed to be positioned about 1/2 of their full deflection. The landing gear selector switch was in the "down" position; however, all three landing gear assemblies had collapsed during the accident. The main fuel selector was found in the "off" position; however, a first responder had moved the fuel selector from the "auxiliary" position to the "off" position during rescue efforts. The first responder also turned the engine magneto/ignition key to "off" and disconnected the battery terminals after hearing the sound of an electric motor located under the floorboards. (The sound of an electric motor was later identified to be the electrohydraulic motor for the landing gear extension/retraction system.) The auxiliary fuel tank selector was found positioned to the "right" auxiliary wing tank. (The auxiliary fuel tank selector had two positions, "right auxiliary" or "left auxiliary.") The electric fuel pump switch was found in the "off" position. There were no anomalies identified during functional tests of the electric fuel pump and the aerodynamic stall warning system. The airplane was equipped with two inboard "main" fuel tanks and two outboard "auxiliary" fuel tanks. The reported capacity of each inboard fuel tank was 19 gallons, of which 15.5 gallons were useable per tank. The left inboard tank contained about 5 gallons of fuel. The right inboard tank contained 3-1/2 pints of fuel. The inboard fuel tanks appeared to be undamaged and there was no evidence of a fuel leak from either tank. The reported capacity of each outboard "auxiliary" fuel tank was 17 gallons; however, those tanks were placarded for level flight only. The outboard fuel tanks also appeared to be undamaged and there was no evidence of a fuel leak from either tank. A visual inspection of the left outboard tank confirmed that it was filled near its capacity. The right outboard tank contained about 11 gallons of fuel. No fuel was recovered from the fuel supply line connected to the engine-driven fuel pump inlet port; however, the fuel gascolator drain had fractured during the accident and there was evidence of a small fuel spill underneath the gascolator assembly at the accident site. Only trace amounts of fuel were recovered from the engine-driven fuel pump outflow fuel line. No fuel was recovered from the fuel supply line connected to the flow-divider assembly. The engine remained partially attached to the firewall by its engine mounts and control cables. Internal engine and valve train continuity was confirmed as the engine crankshaft was rotated. Compression and suction were noted on all cylinders in conjunction with crankshaft rotation. The upper spark plugs were removed and exhibited features consistent with normal engine operation. Both magnetos provided spark on all leads when rotated. There were no obstructions between the air filter housing and the fuel control unit. Mechanical continuity was confirmed from the engine components to their respective cockpit engine controls. The postaccident examination revealed no evidence of mechanical malfunctions or failures that would have precluded normal engine operation. According to Federal Aviation Administration (FAA) air traffic control data, the accident flight departed SUS around 0738. According to local law enforcement, the initial 911-emergency call was received at 0901. As such, the accident flight, from takeoff to the accident, was at least 1 hour 22 minutes in duration. According to the airplane's owner manual, the expected fuel consumption rate at 2,500 feet msl and 77-percent power was 16.1 gallons per hour. At 77-percent engine power, the accident flight would have consumed at least 22 gallons of fuel; however, engine operation above 77-percent power and/or insufficient leaning would have consumed additional fuel. At 0855, the VER automated surface observing system reported: wind 310 degrees at 13 knots, gusting 16 knots; broken cloud ceilings at 2,600 feet above ground level (agl) and 3,400 feet agl, overcast ceiling at 4,100 feet agl; 10 mile surface visibility; temperature 11 degrees Celsius; dew point 7 degrees Celsius; and an altimeter setting of 29.82 inches of mercury. 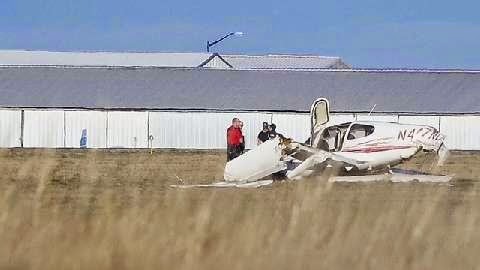 The condition of a Salina physician who was injured in a plane crash Sunday in Missouri has been upgraded, a Columbia, Mo., hospital spokeswoman said. Dr. Brenda Schewe, 56, an internal medicine hospitalist at Salina Regional Health Center, was in fair condition Friday at the University of Missouri Hospital. Her daughter, Kathryn Taylor, 25, of Wichita, was being released from the hospital Friday, and her son, Jacob Taylor, 23, of Kansas City, already has been released, the hospital spokeswoman said. 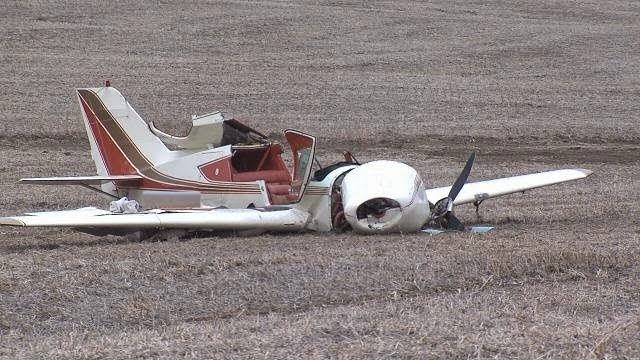 Schewe's husband, Charles Sojka, a Salina flight instructor and certified aircraft mechanic, was killed when his small airplane crashed Sunday morning about half a mile from the Boonville, Mo., airport. Today, U.S. Sen. Mark R. Warner (D-VA) sent a letter to the FAA Administrator regarding the agency’s efforts to design effective regulations for unmanned aerial systems (UAS). Virginia is part of a multistate consortium that is one of six FAA regional test sites for studying the safe integration of unmanned aerial vehicles into the existing airspace. In his letter, Sen. Warner argues against requiring a pilot’s license for the operation of these vehicles, and urges the FAA to make development of a UAS regulatory framework a top priority in the new year. Injuries: 2 Fatal, 2 Uninjured. The accident airplanes, a Cessna and an experimental amateur-built Searey, were two of several airplanes participating in a volunteer event designed to provide the opportunity for young people to fly in a general aviation airplane. A route of flight for the event was established and briefed, and the pilots were instructed to make position reports over the airport’s common traffic advisory frequency at certain landmarks along the route of flight; however, no procedures were in place to account for the disparate operating characteristics and speeds of the aircraft participating in the event. Radar and GPS data showed that the Cessna overtook and descended to the altitude of the Searey as the Searey climbed slowly. During the last moments before impact, both airplanes were depicted at the same altitude and in close lateral proximity. The Searey pilot was unaware that his airplane had collided with the Cessna, but upon experiencing control difficulty, performed a forced landing to an area of thick vegetation. The Searey was substantially damaged during the landing. Immediately after the collision, the Cessna entered a descending spiral to ground contact. A performance radar and cockpit visibility study determined that the Searey would have remained a relatively small and stationary object in the Cessna’s windscreen, appearing below the horizon and just above the engine cowling, for several minutes before the impact. The study also determined that the Searey may have been difficult to distinguish against the background of terrain. Additionally, since the airplanes were on a converging course, the Searey would have presented little relative motion to the other pilot, making detection more difficult. 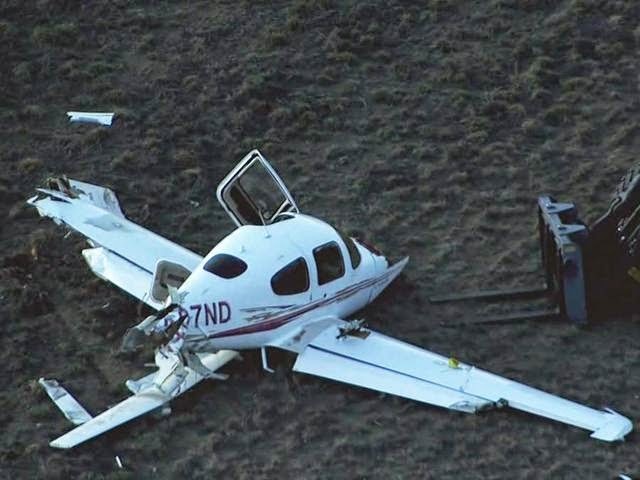 The Cessna would not have been visible to the Searey pilot because it approached from an area that was obstructed by the airplane’s structure. The pilot’s failure to maintain an adequate visual lookout for known traffic in the fly-in event traffic pattern, which resulted in a midair collision. On September 27, 2014, about 1020 eastern daylight time, a Cessna 172M, N9679H, and an experimental amateur-built Searey XLS, N89KD, collided in midair approximately 2 miles southeast of the Buffalo-Lancaster Regional Airport (BQR), Lancaster, New York. 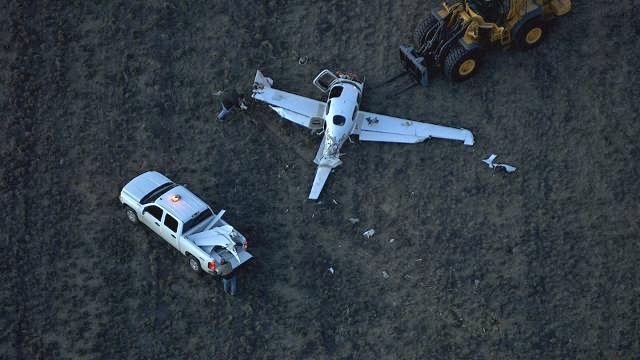 The commercial pilot and passenger on board the Cessna were fatally injured. The pilot of the Searey performed a forced landing to a thicket of low brush, and the airplane was substantially damaged. The private pilot and passenger in the Searey were not injured. Visual meteorological conditions prevailed and no flight plan was filed for either airplane, each on local personal flights which departed BQR at 1009 (Searey) and 1012 (Cessna). Both airplanes were participating in an Experimental Aircraft Association (EAA) Young Eagles event, and the flights were conducted under the provisions of Title 14 Code of Federal Regulations Part 91. Several witnesses provided statements, and their accounts were consistent throughout. They each said their attention was drawn to the sound of the airplanes and/or the sound of collision. The airplanes were both traveling westbound as one airplane overtook the other, or was on top of the other, before one airplane (Cessna) was seen to "tip" or "roll" inverted before it descended vertically in a spiral. The second airplane (Searey) descended in a 180-degree turn and the sound of the engine was increasing and decreasing, "revving" or "sputtering" throughout the descent. Radar information provided by the Federal Aviation Administration (FAA) depicted both airplanes traveling westbound on roughly the same ground track; the Cessna at 1,774 feet and 90 knots groundspeed, and the Searey ahead of the Cessna, at 1,575 feet and 70 knots groundspeed. As the Cessna approached the Searey from the east, it descended slowly to 1,625 feet. At the same time, the Searey climbed slowly to 1,625 feet. During the last moments prior to impact, both airplanes were depicted at 1,625 feet, and in close lateral proximity. Radar contact with the Cessna was lost in the vicinity of its accident site, while the Searey was depicted in a descending right turn. The pilot of the Searey, who was flying from the left seat, said he was in cruise flight and nearing the point when he was to begin the turn north toward the airport, when he felt a sudden "bang" and heard a "snapping" sound. He said he wasn't sure if the airplane had struck something, or if something in the airplane had broken. The pilot said the airplane was unresponsive to control inputs in the pitch axis, and that he used engine power to control pitch. Due to limited controllability and trees further along on his flight path, he elected to land the airplane in the thicket to avoid greater hazards and for crash attenuation. The passenger in the right seat of the Searey was interviewed by police in the company of her parents the day following the accident. According to the passenger, she looked out the right window and "…saw a white airplane coming at us from above and I knew it was going to hit us. I tried to warn the pilot but there wasn't enough time and the microphone was too far away." The passenger went on to describe the collision, the descent, the landing in the thicket, and her egress from the airplane. The Cessna pilot held a commercial pilot certificate with ratings for airplane single-engine land and instrument airplane. His most recent FAA third-class medical certificate was issued September 16, 2014 at which time he reported 2,115 total hours of flight experience. The Searey pilot held a private pilot certificate with ratings for airplane single-engine land, single-engine sea, and instrument airplane. His most recent FAA third-class medical certificate was issued July 10, 2014. The pilot reported 4,270 total hours of flight experience. According to FAA records, the Cessna was manufactured in 1975. The airplane's most recent annual inspection was completed April 25, 2014 at 8,069 total aircraft hours. According to FAA records, the Searey was manufactured in 2014. Its most recent condition inspection was completed January 13, 2014, and the airplane had accrued 160 hours since that date. The 1054 weather observation at Buffalo International Airport (BUF), Buffalo, New York, located 5 miles west of the accident site included clear skies, calm winds, and 10 statute miles visibility. BQR was situated beneath the outer ring of the Class C airspace that surrounded BUF, at a field elevation of 752 feet mean sea level (msl). The single runway, oriented 8/26, was 3,199 feet long at 75 feet wide. The traffic pattern altitude was 1,552 feet msl, and the airport was not tower-controlled. 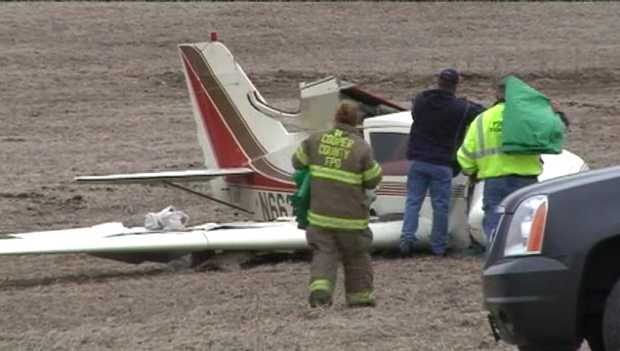 The Cessna came to rest on flat, wooded terrain and was examined at the accident site. All major components were accounted for at the scene. The airplane came to rest in a nose-down attitude, with the engine buried beneath the instrument panel in the initial impact crater, and was severely deformed by impact forces. The leading edges of both wings were uniformly crushed aft in compression. The airframe was cut by rescue personnel, and further sectioned for removal from the woods. Control continuity was established from the cockpit area to all flight control surfaces. The propeller blades displayed twisting, bending, leading edge gouging and chordwise scratching. Both blades displayed spiral striations about 5 inches inboard of the tips consistent with a wire strike. The Searey came to rest upright in a dense thicket. The trailing edge of the right wing flap displayed a series of parallel slash marks, the structural tubing was severed, and the fracture surfaces were smeared. The structural cable between the wing strut and the empennage was still attached at each end, but missing an approximate 5-foot section of its middle. The two severed ends displayed features consistent with overload. The empennage displayed a vertical opening and parallel slash marks. The Office the Chief Medical Examiner for the County of Erie, Buffalo, New York, performed the autopsy on the Cessna pilot. The autopsy report listed the cause of death as multiple blunt force injuries. The FAA's Bioaeronautical Sciences Research Laboratory, Oklahoma City, Oklahoma, performed toxicological testing of the Cessna pilot. The testing was negative for the presence of carbon monoxide, cyanide, and ethanol. Amlodipine was detected in the blood and urine. Amlodipine was in a group of drugs called calcium channel blockers and was used to treat high blood pressure or angina. Salicylate, a metabolite of aspirin, was detected in the urine. The NTSB Chief Medical Officer performed a medical review of the pilot's records and the reports cited above. The review revealed no evidence of any medical condition or substance that may have contributed to the accident. The purpose of the EAA Young Eagles Program was to provide the opportunity for young people to fly in a general aviation airplane. The district coordinator for the event was interviewed by an FAA inspector about the conduct of the event. The coordinator had organized the event using the instructions provided by EAA, which included an informational webinar for organizers. The volunteer pilots were required to be EAA members, and were also required to attend a briefing prior to the event. The items briefed included the current and forecast weather, the runway in use, the route of flight, and the various landmarks that defined the route. The flight route consisted of a straight-out departure to the east, climbing to an altitude of 1,800 feet. About 10 nautical miles from the airport, the airplanes were to turn right and return to the airport on a track parallel to and about 2 miles south of the outbound track. The course terminated abeam the midpoint of runway 08/26. At or about that point, the airplanes were to descend to traffic pattern altitude, turn north to cross the runway south to north, then enter a left downwind for landing on runway 08. Traffic pattern altitude at BQR was 1,552 feet. Pilots were instructed to use the BQR common traffic advisory frequency (CTAF) for all communications, which included position reports when making turns and at several designated landmarks along the route of flight. Airspeeds were neither set nor restricted while established on the route. According to the vice president of the local EAA Chapter, each airplane participating in the event was assigned a discrete transponder code in coordination with the control tower at BUF; however, none of the airplanes were in contact with, or receiving any services from, the control tower. A radar study was performed by an NTSB Airplane Performance Specialist. The radar data used in the study were secondary returns from the short-range Airport Surveillance Radar (ASR-9) located at Buffalo Niagara International airport (BUF), Buffalo, NY (transponder codes 0433 and 0416 for the Searey and the Cessna, respectively). In addition to the radar data, a Garmin 496 portable GPS receiver was recovered from the Searey and successfully downloaded. The radar and GPS track data was used to establish a timeline of the flights, ground and flight tracks for each airplane and to create a simulation of the flight as viewed from the cockpit of the Cessna. According to the simulations and graphs produced by the study, as seen from the Cessna, the Searey would have been located below the horizon and just above the Cessna's engine cowling for most of the westbound leg of the flight. While the Searey may have been within the Cessna's field of view, the Searey would have been difficult to see against the background of the terrain. Further, based on the distance between the Cessna and the Searey throughout the flight, the Searey would have been a small dot in the terrain background until the final seconds before impact. Because of the high-wing structure of the Searey, and its relative position and altitude, the Cessna was blocked from the Searey pilot's view by the right wing, roof, and aft cabin structure, as the Cessna was above and behind the Searey during the latter portion of the flight prior to collision. Although the pilot of the Searey stated that he was reporting his position on the CTAF along the route of flight as prescribed in the pre-event briefing, this could not be confirmed, as radio communications made over the CTAF were not recorded. FAA Advisory Circular 90-48D, "Pilots' Role in Collision Avoidance," stated, "Pilots should also be familiar with, and exercise caution in, those operational environments where they may expect to find a high volume of traffic or special types of aircraft operation. These areas include airport traffic patterns, particularly at airports without a control tower…"
FAA Pamphlet P-8740-51, "How to Avoid a Midair Collision," stated, "…an aircraft on a collision course with you will appear to be motionless. It will remain in a seemingly stationary position, without appearing to move or to grow in size for a relatively long time, and then suddenly bloom into a huge mass filling one of your windows. This is known as "blossom effect." Since we need motion or contrast to attract our eyes' attention, this effect becomes a frightening factor when you realize that a large bug smear or dirty spot on the windshield can hide a converging plane until it is too close to be avoided." According to statistical studies, flying is far safer than driving. The National Highway Traffic Safety Administration’s (NHTSA) 2008 compilation of driving and flying statistics, for example, revealed more than 5 million U.S. driving accidents for that year and only 20 accidents for U.S. air carriers. Based on the study’s results, NHTSA calculated the odds of dying in a motor vehicle crash to be 1 in 98 and the odds of dying in a plane crash to be 1 in 7,178 over a person’s lifetime. Yet, the public remains rightly concerned when plane crashes, including those caused by mid-air collisions, occur. On September 27, 2014, for example, a double-plane crash in Lancaster, New York, resulted in the death of two people and the injury of two others during a youth aviation program at the Buffalo-Lancaster Regional Airport. According to a police officer who investigated the crash, the program involved the Experimental Aircraft Association and was intended to “expose youth to aviation.” A report by the Federal Aviation Administration (FAA) revealed that the two single-engine planes involved in the collision were a Cessna 172 and an amateur-built Searey aircraft. The operator of the Searey was able to make an emergency landing in a field, but the Cessna 172, which was occupied by a 78-year-old man and a 14-year-old boy, crashed, resulting in the death of both occupants. Though at least one eye witness has reported seeing the planes “clip wings,” the exact cause of the accident is still under investigation by the National Traffic Safety Board (NTSB). Who can be held responsible for injuries or deaths caused in plane accidents? In cases such as the accident between the amateur Searey and the Cessna 172 in Lancaster, New York, more than one individual and/or entity may be subject to liability. Mid-air collisions between aircraft larger than those involved in the Lancaster crash are less common than they once were. Federal regulations requiring the installation in such aircraft of Traffic Alert and Collision Avoidance Systems (TCAS) have contributed to the decrease in mid-air collisions between larger planes. TCAS allow a pilot to monitor the air traffic around an aircraft and provide details regarding the location of nearby traffic. More advanced systems also provide a pilot with specific instructions for avoiding nearby traffic. Under Title 14, Part 91 of the Code of Federal Regulations (CFR), however, small, non-commercial aircraft that fly in the United States are not required to have TCAS. Though the owners of small non-commercial aircraft may purchase TCAS, the system will not provide the location of other aircraft that do not have transponders. This system of avoiding mid-air collisions is not foolproof, according to many who use it. Nevertheless, the Lancaster collision may have been avoided if both planes had been equipped with TCAS. Can the owners and/or operators of planes involved in mid-air collisions be held responsible for the injuries and deaths caused by the crash if their planes were not equipped with TCAS? The answer to this question will depend on the circumstances of the particular case. The violation by an owner or operator of a plane of any Federal Aviation Regulation (FAR) would be considered negligence on the part of the aircraft owner or operator in a negligence action brought to recover damages for someone’s injury or death sustained in an aircraft accident. In order to hold such a defendant liable, however, the plaintiff would also need to establish that the violation of the rule in question was a cause of the victim’s injury or death. Thus, in a collision between two large commercial aircraft resulting in injuries or deaths, the owner of either aircraft may be held liable for victims’ resulting injuries or deaths if the owner’s failure to install and/or properly maintain TCAS is determined to have been a cause of the collision that resulted in the victims’ injuries or deaths. In the case of the collision between the small, non-commercial aircraft in Lancaster, New York, however, the absence of TCAS would not be a factor in the determination of the plane owners’ and operators’ liability, since TCAS is not required for such aircraft. Under what circumstances can the owners or operators of smaller planes be liable for victims’ injuries and deaths? The owner of a plane may be found directly liable for accident injuries and deaths caused by negligently maintaining the plane or by negligently allowing an incompetent pilot to fly the plane. The non-owner operator of an aircraft may be held liable for injuries and deaths caused by the operator’s negligence. Such negligence may include a pilot’s violation of any applicable FAR, decision to fly in bad weather, or failure to keep an adequate lookout for other planes in the area. In the case of the collision between the Cessna and Searey aircraft, both operators may be found to have negligently contributed to the accident by flying too close to each other. Today’s writer is Jeff Killino, a respected litigation attorney and the managing partner of The Killino Firm, P.C. Attorney Killino has extensive experience with all types of accident and wrongful death cases, including those arising out of airplane accidents caused by owner or operator negligence or defects in aircraft. He has achieved national recognition for his work in accident and personal injury cases, including a product liability action that led to the recall of 450,000 defective tires manufactured in China, on major television networks such as CNN, ABC, FOX, and the Discovery Channel. On September 27, 2014, about 1020 eastern daylight time, a Cessna 172M, N9679H, and an experimental amateur-built D'Angelo Searey XLS, N89KD, collided in midair approximately 2 mile southeast of the Buffalo-Lancaster Regional Airport (BQR), Lancaster, New York. The Cessna departed controlled flight after the collision, descended vertically in a spiral, and was destroyed by impact forces at ground contact. The Searey entered a descending right turn, and performed a forced landing to a thicket of low brush, and was substantially damaged. The commercial pilot and passenger on board the Cessna were fatally injured. The private pilot and passenger in the Searey were not injured. Visual meteorological conditions prevailed and no flight plan was filed for either airplane, each on local personal flights which departed BQR at 1009 (Seareay) and 1012 (Cessna), respectively. Both airplanes were participating in an Experimental Aircraft Association (EAA) Young Eagles event, and the flights were conducted under the provisions of Title 14 Code of Federal Regulations Part 91. Several witnesses provided statements, and their accounts were consistent throughout. They each said their attention was drawn to the sound of the airplanes and/or the sound of collision. The airplanes were both traveling westbound as one airplane overtook the other, or was on top of the other, before one airplane (Cessna) was seen to "tip" or "roll" inverted before it descended vertically in a spiral. The second airplane (Seareay) descended in a 180-degree turn and the sound of the engine was increasing and decreasing, "revving" or "sputtering" throughout the descent. Preliminary radar information provided by the Federal Aviation Administration (FAA) revealed that both airplanes were assigned discrete transponder codes. The data depicted both airplanes traveling westbound on roughly the same ground track. The Cessna was at 1,774 feet and 90 knots groundspeed and the Searey was further west, at 1,575 feet and 70 knots groundspeed. As the Cessna approached the Searey from the east, it descended slowly to 1,625 feet. At the same time, the Searey climbed slowly to 1,625 feet. For the last few seconds of the Cessna's flight, both airplanes were depicted at 1,625 feet, and in close lateral proximity. Radar contact with the Cessna was suddenly lost in the vicinity of its accident site, while a descending right turn was depicted for the Searey. The 1054 weather observation at Buffalo International Airport (BUF), 5 miles west of the accident site included clear skies, calm winds, and 10 miles visibility. The Cessna came to rest on flat, wooded terrain and all major components of the airplane were accounted for at the scene. The airplane came to rest nose down with the engine buried beneath the instrument panel in the initial impact crater, and was severely deformed by impact forces. The leading edges of both wings were uniformly crushed aft in compression. Control continuity was established from the cockpit area to all flight control surfaces. Both propeller blades displayed similar twisting, bending, leading edge gouging and chordwise scratching. The Searey came to rest upright in a dense thicket. Examination of the airplane revealed that the trailing edge of the right wing flap displayed a series of parallel slash marks, and the structural tubing was severed, and the fracture surfaces were smeared. The structural cable between the wing strut and the empennage was still attached at each end, but missing a section about 5 feet in length in the middle. The two severed ends displayed features consistent with overload separation. The empennage displayed a vertical opening and parallel slash marks.